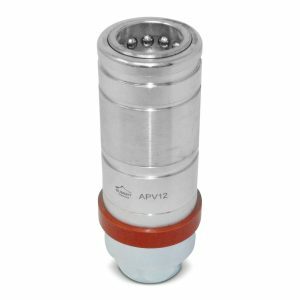 APV12-08N This is a Push-Push #8 ORB Female Quick Disconnect Coupler. 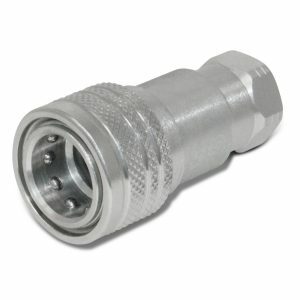 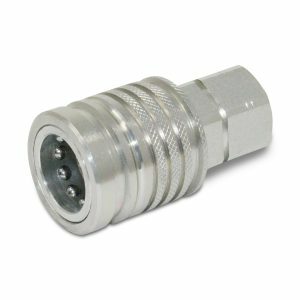 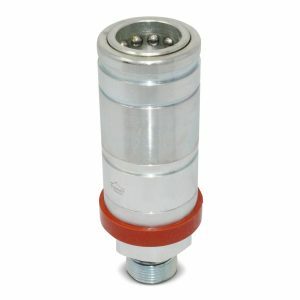 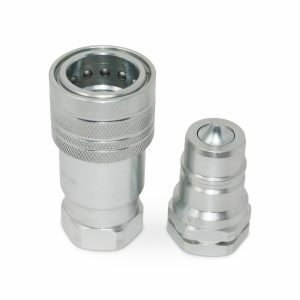 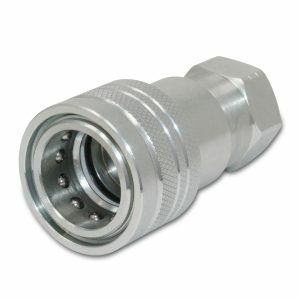 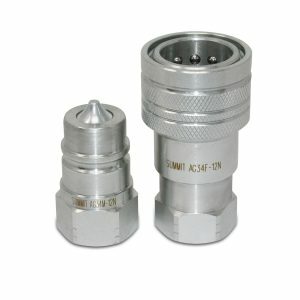 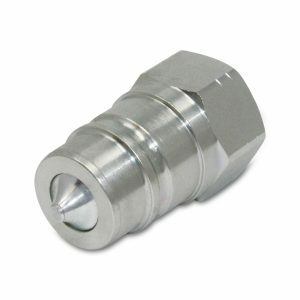 This coupler can be connected under pressure. 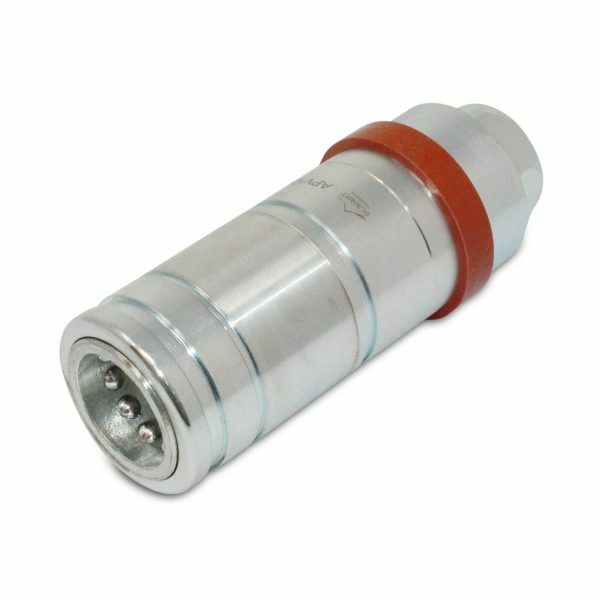 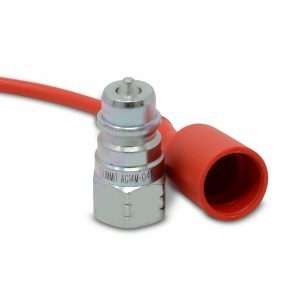 This series of couplers are Push Pull Quick Disconnect couplers. 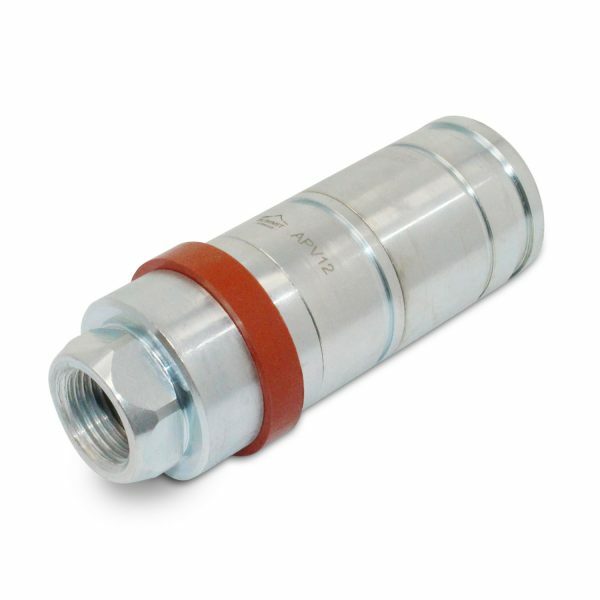 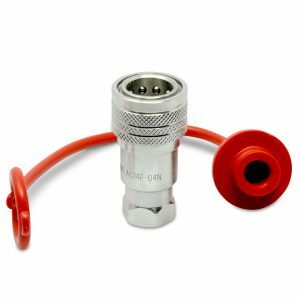 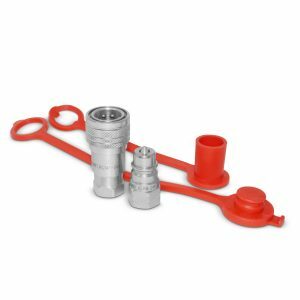 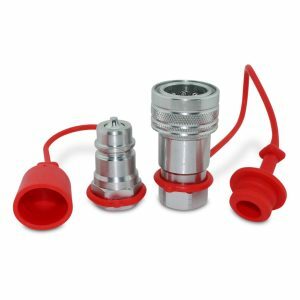 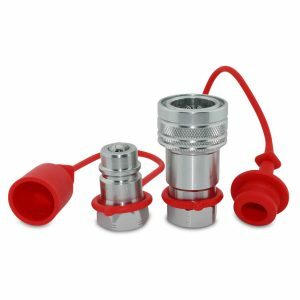 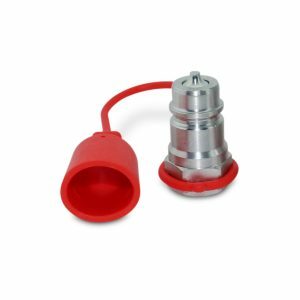 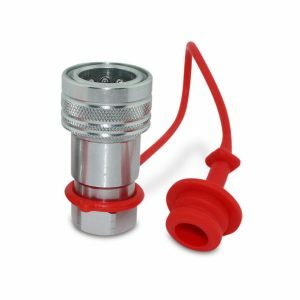 They are interchangeable with all 1/2″ body ISO 5675 series / Pioneer style couplers including ball seat valve, poppet seal, and 1/2″ Body ISO 7241-A couplers.